• 10 Renault Twizy will be supplied to Groupama Team France. • The French Team has set base in Bermuda for the final stage of its preparation to the 35th America’s Cup starting on May 26Th. • Renault Twizy is the best-selling all-electric vehicle in the Latin American region, with includes Bermuda. 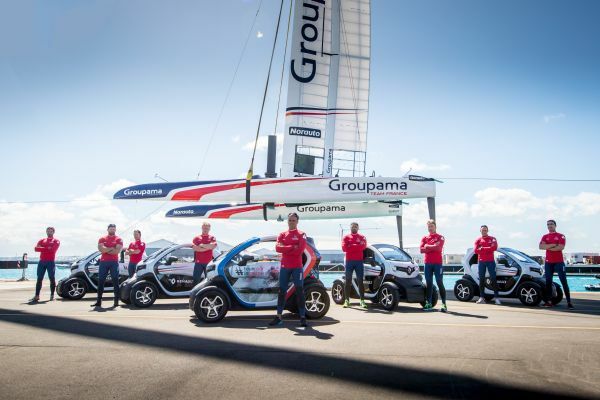 Today, Renault hands over the key of 10 Twizy to Groupama Team France competing for the 35th America’s Cup. This event marks the launch of Renault Twizy, leader of electric vehicles in Latin America, in Bermuda. The first ten Twizy delivered to Groupama Team France will be used by the Team to commute from their apartment to the America’s Cup venue. World leader in zero emission vehicles and a global reference in sustainable mobility, the Renault-Nissan Alliance has sold over 430,000 electric vehicles worldwide, with 100,000 units sold by the Renault brand alone. Renault is the EV market leader in Latin America, with the largest range of zero emission cars available to customers. 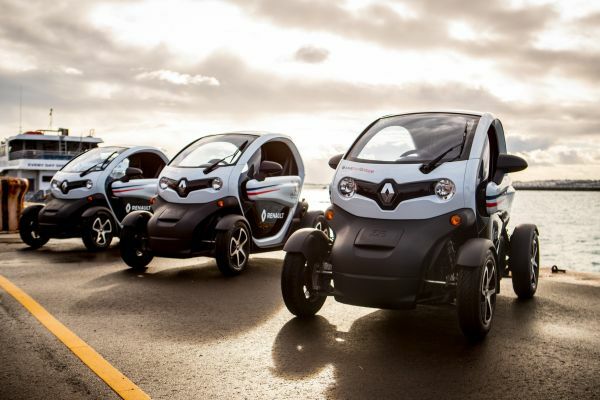 More than 500 units have already been sold since 2012 and Renault Twizy tops the ranking as the region’s best-selling EV. Renault’s EV model range also includes the ZOE compact hatchback – which tops EV sales in Europe – and the Kangoo Z.E. light commercial vehicle, which is also the top-selling model in its segment. “It is easy and fun to drive, in addition to being very safe, completely silent and with any emission during road use. Its large windows provide an incredible view of Bermuda’s stunning landscapes. In a few words, the car is in perfect harmony with Bermuda’s amazing sights,” said Juan Duque Restrepo, Importing Countries Director for Renault Americas Region. * Zero emissions during road use (zero CO2 emissions and zero emissions of regulated pollutants during road use, in compliance with type - approval procedures, excluding wear parts). RORC Caribbean 600 Race set off yesterday from Antigua. ORACLE TEAM USA reveals America’s Cup yacht “17”. Copa del Rey: BMW Sail Racing Academy Team wins ORC 1 class. What Do You Want to Know About Super Yacht Charter? BMW retires from the America’s Cup.